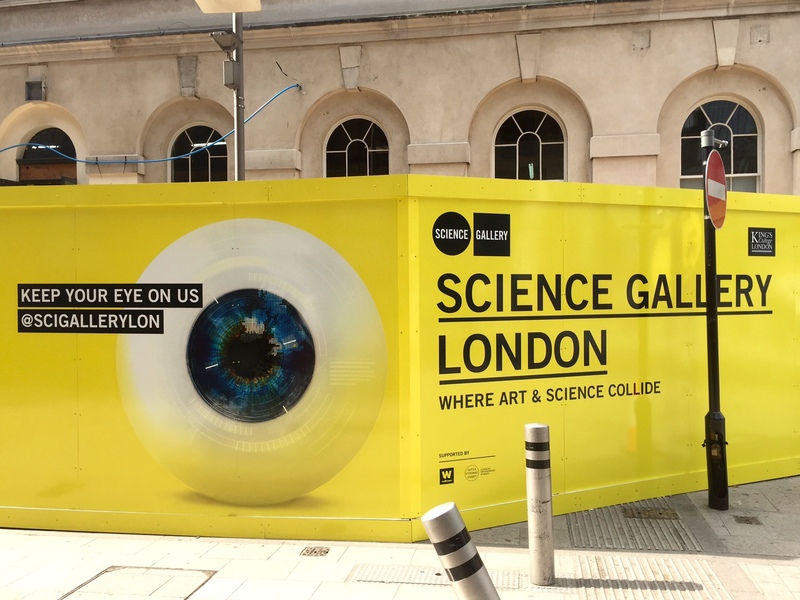 Science Gallery London (SGL) is a new gallery, based at King’s College London, fusing art and science, scheduled to open in London Bridge in 2018. It will be part of a global network of Science Galleries, with 8 due to be open or in development by 2020 – the first one opened in Dublin in 2008. We were asked by the team behind SGL to design a perimeter hoarding for the SGL site.Located opposite The Shard, the site is a high-profile, high-footfall area, so there was an opportunity to design a real showstopper. We were challenged to make the hoarding highly visible, intriguing and shareable on social media. The client wanted the hoarding to include a street gallery – containing original works of art, commissioned by Science Gallery London as part of its MOUTHY season – as well as general messaging about the Gallery and King’s College London. We used a large ‘cyber eye’, as the lead graphic, which aligned with Science Gallery London’s focus on the future of science. 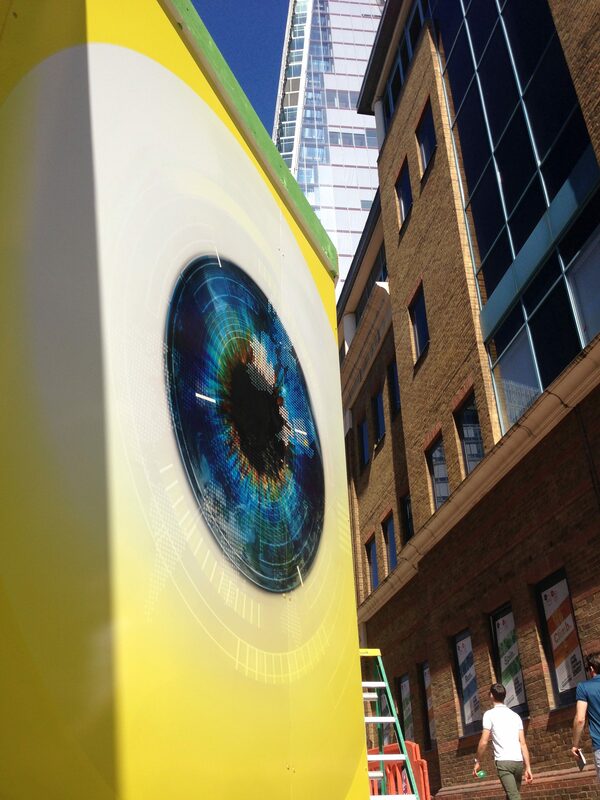 The eye needed to be located in just the right places on the hoarding to be visible to the crowds of London Bridge and maximize the hoarding’s visual impact. 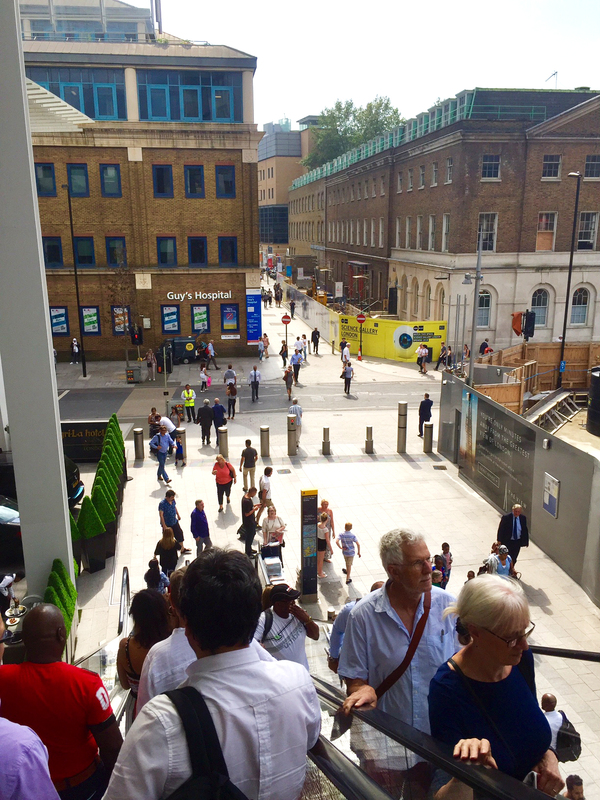 Using a bright yellow, from the Science Gallery London colour palette, as the main feature colour for the hoardings, it stands out from the surrounding corporate greys and the gaze of an eye is also highly penetrating: the perfect device to grab the attention of the hoards of people passing through London Bridge station. 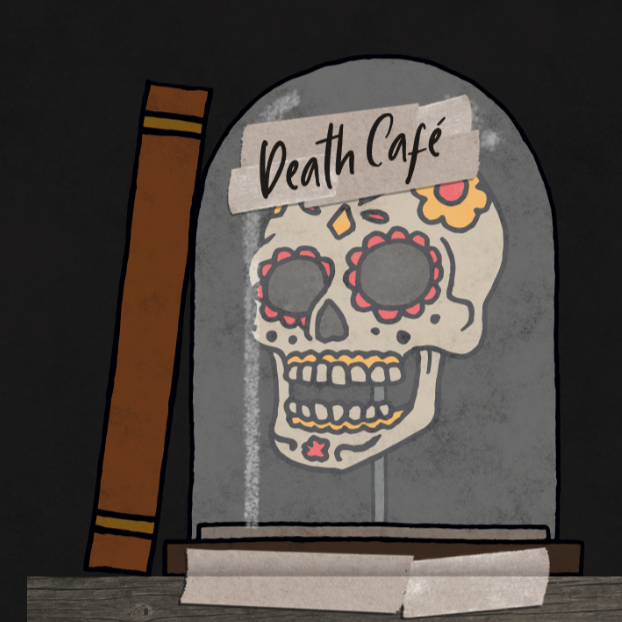 Find out more about Science Gallery London or follow them (@SciGalleryLon) on Twitter and Instagram. After the hoardings were installed, Science Gallery London ran an all-day hackathon (called #Eyehack) in conjunction with augmented reality app, Blippar. It gave designers and coders the opportunity to ‘hack’ the eye design we delivered and come up with their own ‘blips’ i.e. 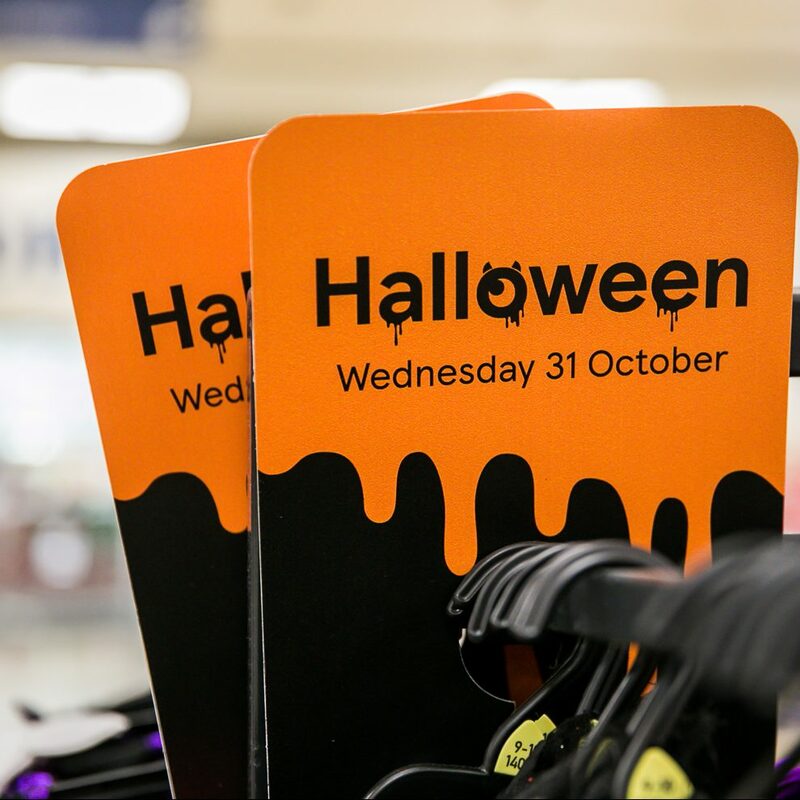 creative digital content that becomes visible when someone uses the Blippar app on a given object – Blippar’s image recognition technology unlocking the content. Sherlock co-judged the winning blip. We were thrilled that Design Week featured the hoardings in its ‘inspiration’ section; you can read the article, here. Our design for the hoardings won a Silver award in the 2017 International Design Awards – see here.